Northrop Grumman Delivers Global Hawk Early and On Cost. Northrop Grumman Corporation delivered a Global Hawk Block 40 Unmanned Aircraft System (UAS) to the U.S. Air Force at Grand Forks Air Force Base, N.D., ahead of schedule, Feb. 14. This is the second aircraft delivered as part of Global Hawk's Lot 10 contract, joining a Block 30 system delivered four months early in November of last year. Two additional aircraft, a final Block 30 and Block 40, will arrive later this year, completing Global Hawk's Lot 10 contract. "Global Hawk program performance excellence is a core focus of our efforts. Delivering Global Hawk to our Air Force partners early is a good indicator of our solid performance," said Mick Jaggers, director, Global Hawk, Northrop Grumman Aerospace Systems. "We look forward to continuing the reduction of Global Hawk's total mission costs while providing unparalleled capabilities." 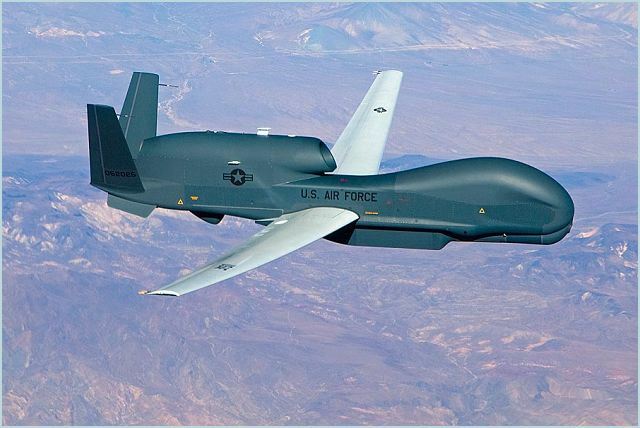 A total of 42 Global Hawk unmanned aircraft are currently in use around the world with 32 in the Air Force inventory. A contract for three more aircraft (Lot 11) is expected this summer. These additional aircraft will support increased operational flight hours without adding to the fixed support costs. As our fixed support costs remain constant and flying hours increase, Global Hawk's cost per flight hour will continue to decrease. The operationally proven Global Hawk program has exceeded 109,000 flight hours; and the cost per flight hour has declined significantly as the system has matured. The Air Force reports that the total cost per flight hour was $23,800 in fiscal year 2013, a decrease of almost 30 percent since 2012. The Global Hawk performs vital intelligence, surveillance and reconnaissance. The Global Hawk Block 40 is equipped with a multiplatform radar technology insertion program (MP-RTIP) active electronically scanned array (AESA) radar with air-to-surface capability that provides wide-area surveillance of stationary and moving targets. The Global Hawk's MP-RTIP sensor allows military commanders to gather near real-time imagery and detections of moving targets. The system completed an early operational capability demonstration in April 2013 for the Air Force to verify its ability to support antiterrorism operations, battlefield surveillance, and support of command and control operations.